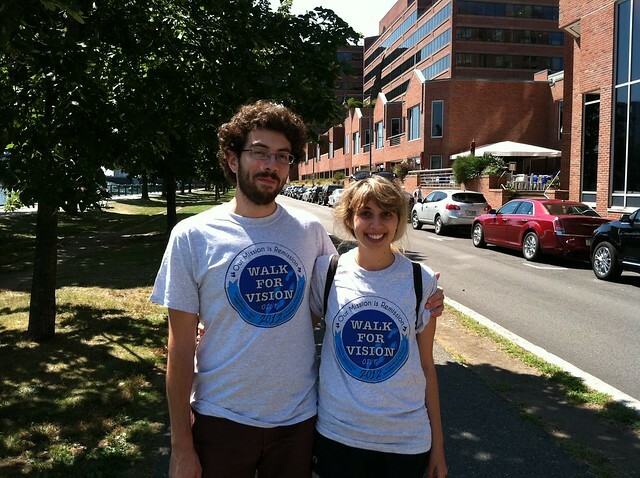 Thank you so much to everyone who supported the Walk for Vision yesterday! We raised a little over $1,300 and I'm very happy to have it go to OIUF. It was a gorgeous day in Boston, absolutely perfect for a 5k around the Charles River. It was really great to be able to meet and talk to a few other women who have Uveitis, something I haven't had an opportunity to do yet because it's so rare. Thank you again for making this such a success!